Just log in and download the course. 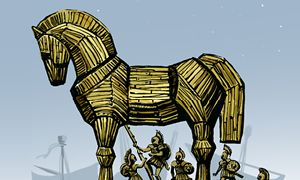 A Trojan is a malicious computer program employed by cyber-thieves and hackers trying to gain access to users systems. These malware misrepresent themselves to appear useful, routine, or interesting in order to persuade a victim to run it. In this minicourse we will show you how Trojans are created in different ways. We will cover automatic creation with wrappers, automatic creation with Metasploit, and we will also create a Trojan manually. Creating them will give you a great insight into how they work and spread. Other hacking courses from the same trainer, Peter Zsiros. Basic programming knowledge, what the register is, basic assembly knowledge, how networks function. You will learn how executable files work and how they are structured. You will also learn how they are made and how can they spread. Start the course for free! No credit card needed. We will create a Trojan with a wrapper application. We add the nc.exe as payload to the .NET 2.0 installer. We create a simple Trojan with the Metasploit Framework. First with the built-in carrier application, then into another executable. At the end we check them on VirusTotal to get to know how many AV solutions are able to identify it. First we will insert a well known Metasploit payload to a carrier application (.NET 4.0 installer) manually, then use the VirusTotal to check how many AVs are able to recognize it. After that we encode our previously created Trojan with the simplest XOR method then upload it again to the VirusTotal for AV testing. 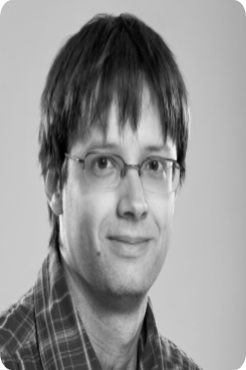 Peter is a professional ethical hacker (OSCP, OSCE). Besides doing penetration tests he has also been teaching on this topic for more than 10 years. He likes to go deep into the bits and discovering things no one has before. Peter also likes to share his knowledge and findings with others and that is why he likes teaching.